In the first of these articles on the future of educational technology I had a quick look at the Digital Divide and how continually falling prices and improving standards could help to bridge the divide. In this second article I'd like to look at the developing role of the web cam. So how about the role of the humble web cam? Web cams have been around for a while now, though they don’t tend to get used so much, though there is a lot of talk about telepresence. 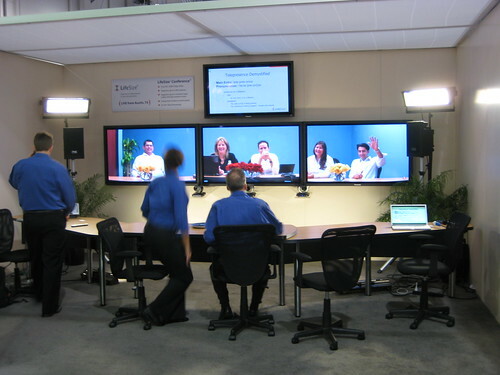 Telepresence is supposed to be video conferencing but with such good quality it seems like the person is in the same room with you. Here’s what it looks like. Looks pretty expensive doesn’t it? I can’t say I’m impressed by this. Having used very similar equipment (probably equally expensive) and tried to have discussions between two groups of people in different rooms, I have to say that even if the quality was great it would be far from ideal. 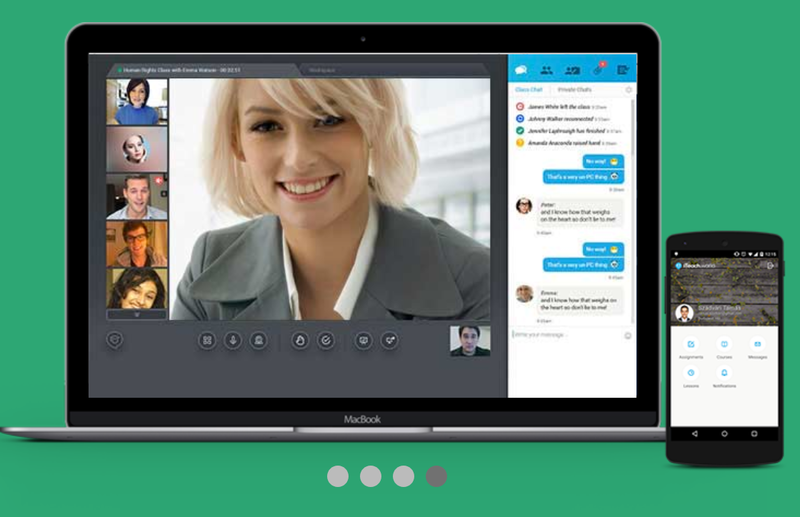 Personally I feel that we can work just as well on our laptops with the built in web cam and a free tools like Tokbox.com. The quality that these services can offer is likely to improve over the coming years as they become more popular and attract more investment. But how about this idea? 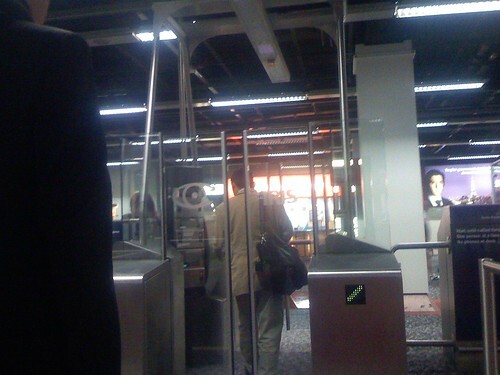 Have you been through immigration at an airport recently. 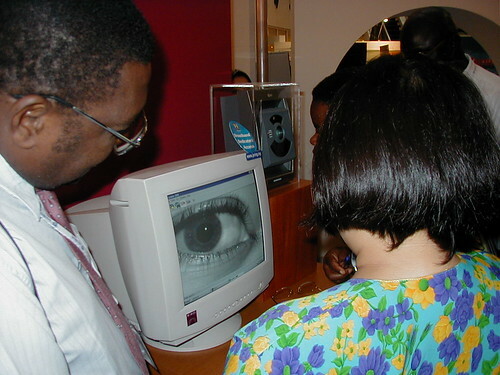 If you have you may have had your iris scanned as a means of identification. Suppose the technology that this system uses develops to the point where you can authenticate your identity on your computer through your web cam. So no more logging in and trying to remember user names and passwords to the sites you register on. Just sit in front of your computer and it knows who you are and unlocks all your sites and web based services for you. Possible? Useful? 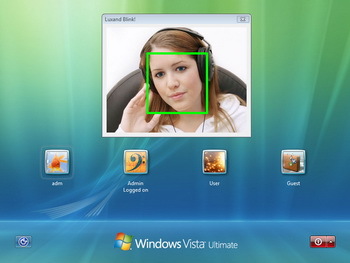 Face recognition is also becoming more common place and you can now download free software for Windows ( http://www.luxand.com/blink/)that will recognise your face and log you into your computer, so no more forgotten passwords! Motion recognition through web cams is also making its way into games and there are already quite a few free games that you can try out using your web cam as the controller. Here you can stand in front of your web cam and take on a team of ninjas. Both of these will keep you pretty fit as they involve quite a lot of jumping about. http://webcamgames.sky.com/ if you feel like investigating more. Well and what about your interactive whiteboard? What’s the connection between IWBs and web cams? Well your web cam could make the need for a specialised board and controller obsolete pretty soon if the guys at Camspace http://camspace.com/ have anything to do with it. They have been developing this system which turns any coloured object into a computer controller. If we start applying this kind of technology to IWB software it could mean that any students in your class could hold up a pen or any coloured object and take control of the computer and write on the board from where ever they are sitting. Giving this control to students could make that interactive whiteboard a lot more interactive and better still save a lot of money. So our web cam is not only the doorway to video conferencing and communication, it could soon also become a way of logging onto our computers and conforming our identity, a way of interacting with our computer and a way of giving students control of the board and making their interaction with the computer as a class a lot more interactive. So that’s just a quick look at the part the humble web cam could play in the future of learning technology. I hope you enjoyed it and that it gives you some food for thought about the way technology can change the way we learn. I don't know where I got this from but have a standard joke running with my students that the next generation of 2nd Life, er, so that'd be 3rd Life will be where we will have our whole bodies scanned into something and then kind of like a Wii thing you'll participate in meetings or do stuff without hardware .. at all as if you were actually there... in the room. I'm an ESL teacher currently based in the UAE. I came across this blog a few months ago and I am so impressed with the content and the educational value associated with the content that i check it almost everyday. Living in an information rich age, we teachers are expected to teach our students higher order skills at the same time move ALL of them towards achieving their full potential and of course getting good marks. I teach a mixed abilites heterogenous class and in such a class it's really a challange for teachers to meet the lesson objectives. I used to find it difficult to cater to the needs of all the students at the same time in a 45 minutes class. It is at this point that i found the teaching activities and daily lesson ideas to be life savers. I actually started using word clouds and tokbox after reading about it in your blog. Now, I use a variety of web tools within a calss as this helps me to differentiate. In my last class i also gave students a choice of tools they could use to come up with information on Chris McCandless (Into the wild). While visual learners used bulletin boards like www.wallwisher.com or www.linoit.com students who were ready to take the challange came up with their blog pages and wikis on the same topic. One particular group prepared a thread using www.voicethread.com. All this in an ESL class (I teach Arab teenagers at the elementary level). Cheers to bloggers like you, i actually got the courage to experiment after reading some of the reflections and ideas in your blog.